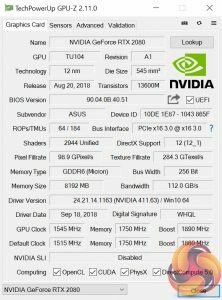 Having already analysed RTX 2080 cards from Palit and Gigabyte, today our attention turns to ASUS ROG and its RTX 2080 Strix OC (08G). 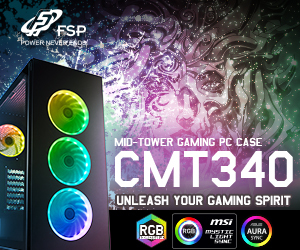 This card is nothing short of a monster – in terms of its size, feature-set and its price. 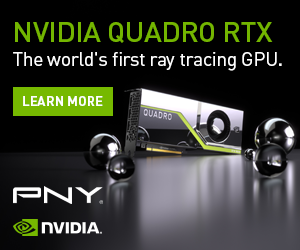 That’s because, at £999, this is the most expensive RTX 2080 currently on the market. 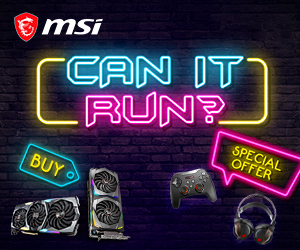 Could it be worth an extra £250 over Nvidia’s Founders Edition? Let’s find out. 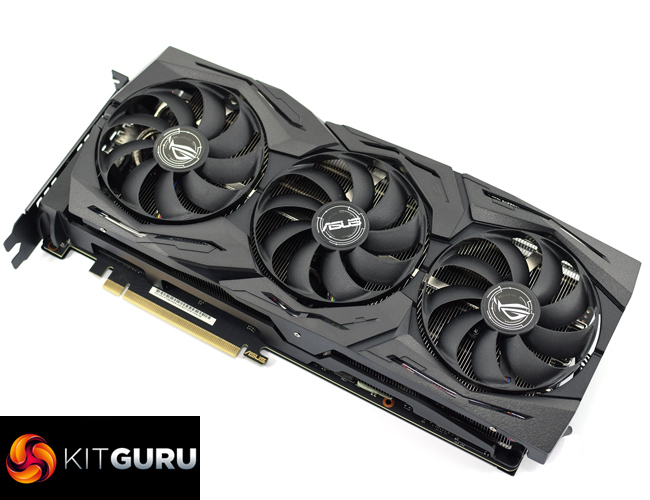 With a whole raft of features – including dual-BIOS functionality, an on-card Aura RGB header and two 4-pin fan headers as well – the ASUS ROG RTX 2080 Strix OC (08G) has a lot going for it. 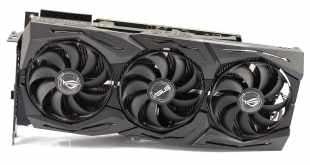 On top of that, the fans have been redesigned, the power delivery has been improved compared to Nvidia’s reference design, and ASUS even claims its heatsink has 20% more surface area than its previous generation of cards. 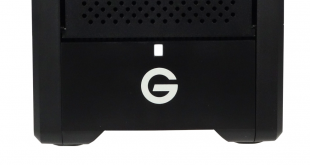 It certainly sounds good on paper, but most importantly – how does it perform? That what we will be testing today. 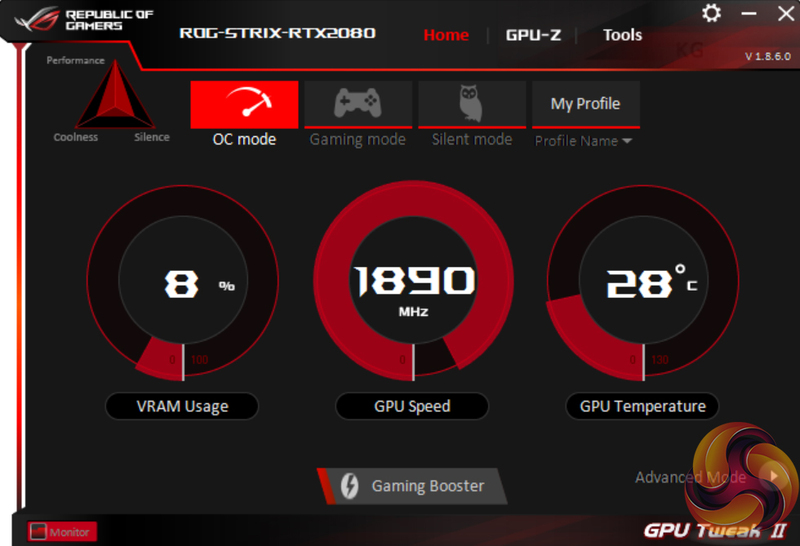 While a Founders Edition RTX 2080 ships with a rated boost clock of 1800MHz, out of the box the ROG Strix 2080 operates at 1860MHz. 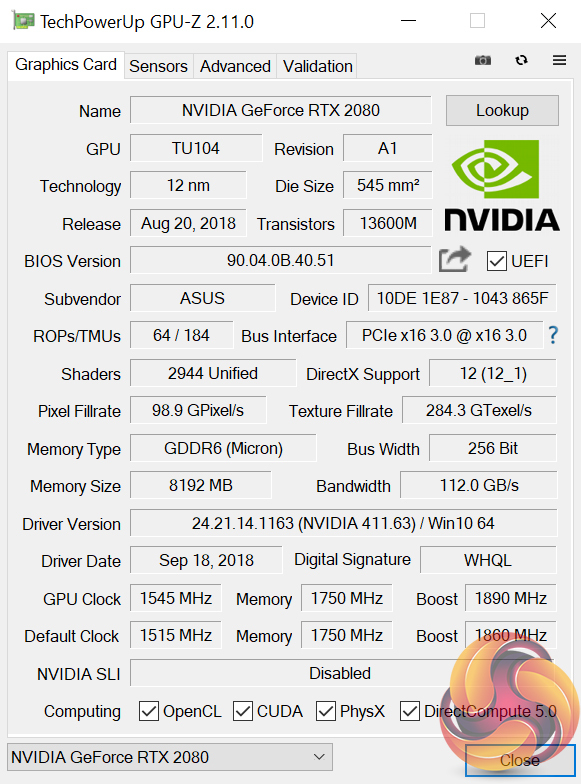 This is fast, certainly, but the Palit RTX 2080 GameRock Premium we reviewed operates at 1875MHz – so it is not quite the fastest boost clock we have seen. 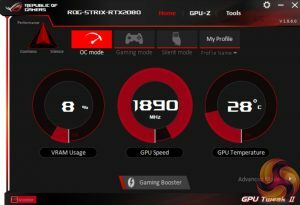 You can, however, download GPU Tweak II – ASUS’ GPU utility tool – and enable ‘OC mode’ which works as a one-click overclock to run the Strix card at 1890MHz. This is how we did our testing, to get the most from the card.